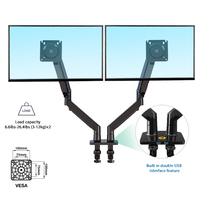 F195A dual screen desktop mount is another perfect and ideal accessory enhance and improve your quality and efficiency of work in both office and home. 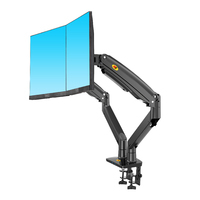 With the aid of durable gas-strut, enable you to interact with screens by swinging them left, right, lift up and down with full range of motion provide unsurpassed ergonomic comfort, in result, reducing your computer-related eye strain by the end of the work day. 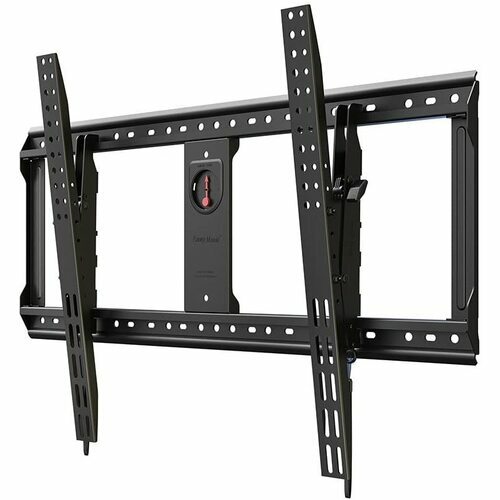 The new sleek, elegant look and rigid aluminum construction create a stable and fully adjustable side-by-side configuration. 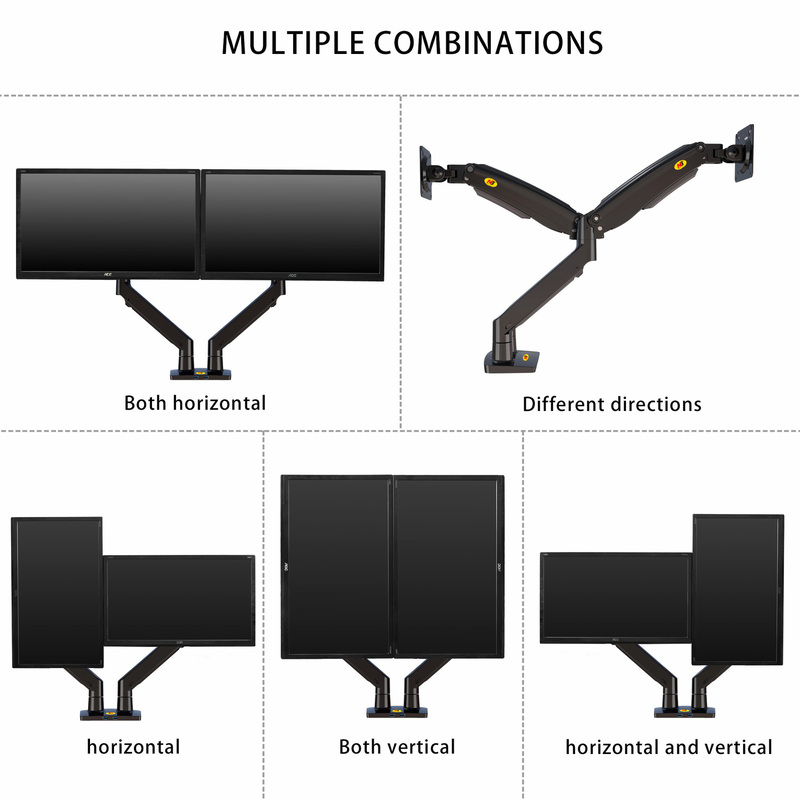 Combined with tilt angles from +8 to -55°, lifts both 22” to 32” monitors offered best vision during your work. 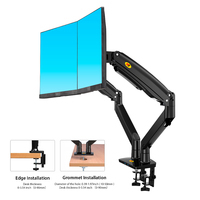 Designed especially for the need of multi-screens, multi-tasks to enhance their productivity in office works, finance sectors, designers and IT profession. 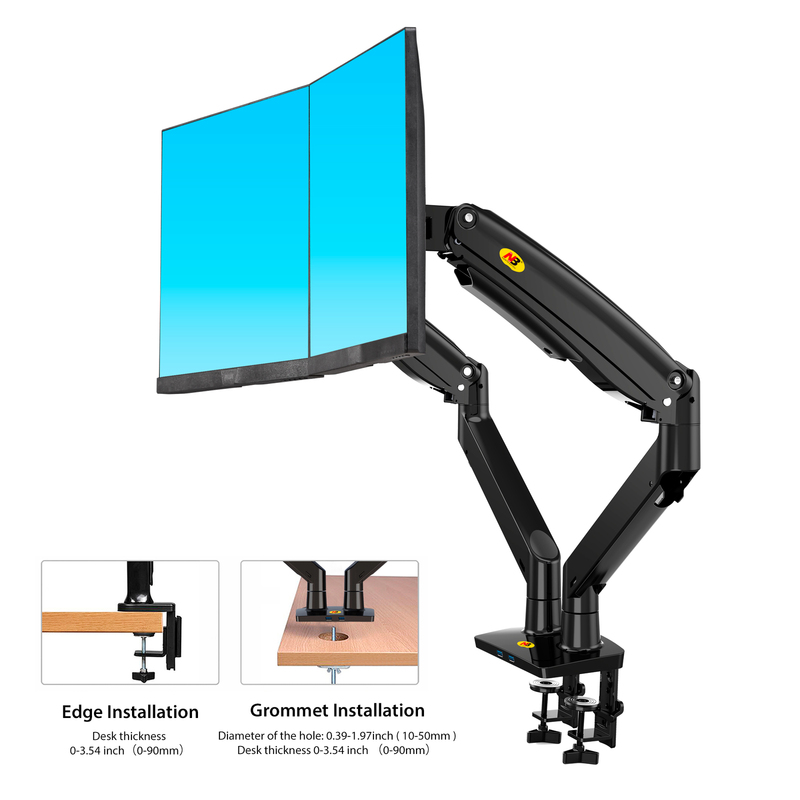 F195A can be installed either at desk edge opposite to you or grommet on desk area. Carrying total maximum weight between 6.6 to 19.8 lbs (3 to 9 kg) with upright travelling distance up to 13.5” (343 mm). 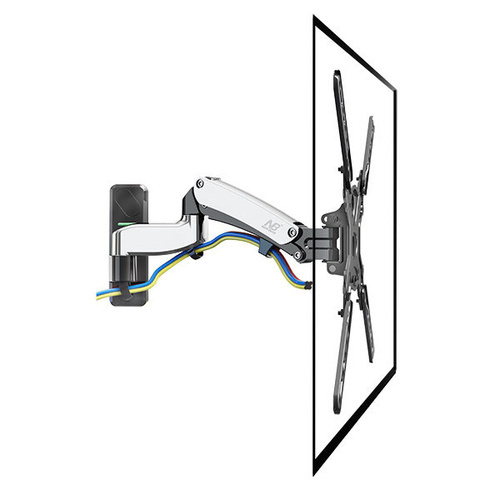 Comes with more than 180° broad swivel angles pivot joint designed facilitates the showing and sharing of information with your nearby colleagues either in landscape position or portrait modes. 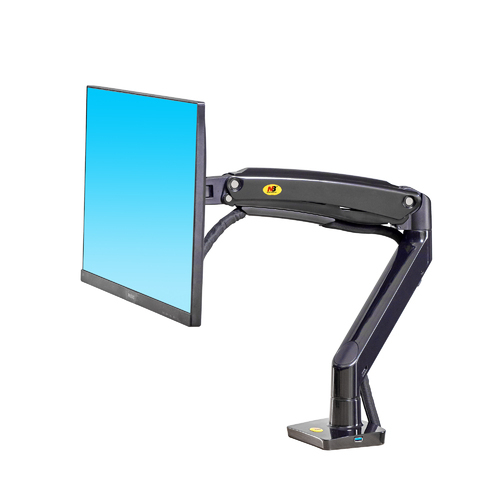 Up to 27.6” (700mm) extension and retraction motion and with integrated cable management allow you to push arms out of the way when you need your desk surface and neatly clean space. 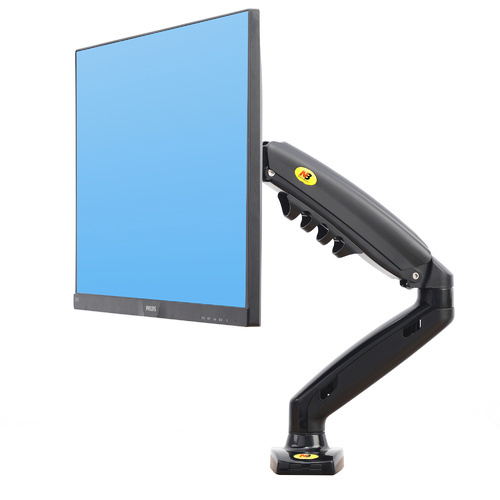 This dual screen desktop mount F195A is suitable and ideally for constraint space and corners at homes or offices. 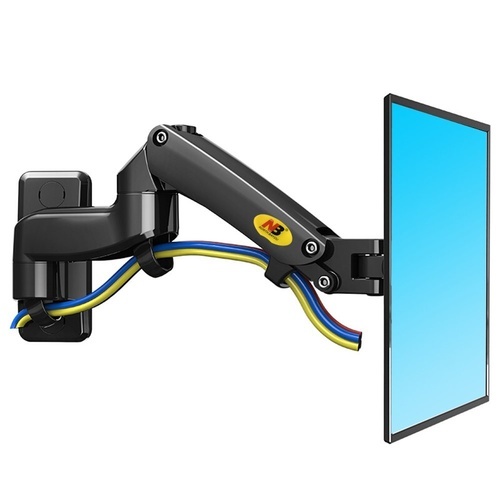 What’s more, comes with additional 2X USB interface adaptors to power up your cool gargets like iphone, ipad on demands near you. 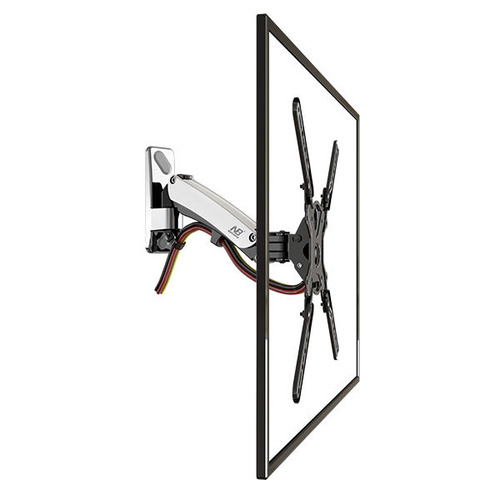 Modular design and pre-assembled in plant makes installation simple, easy and in perfection. 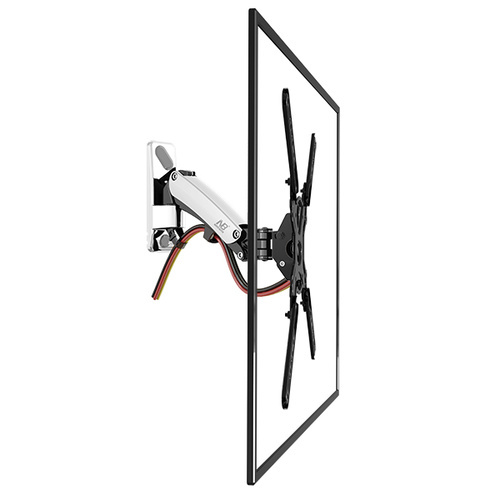 *Built in durable and everlasting mechanical spring for upright movement. 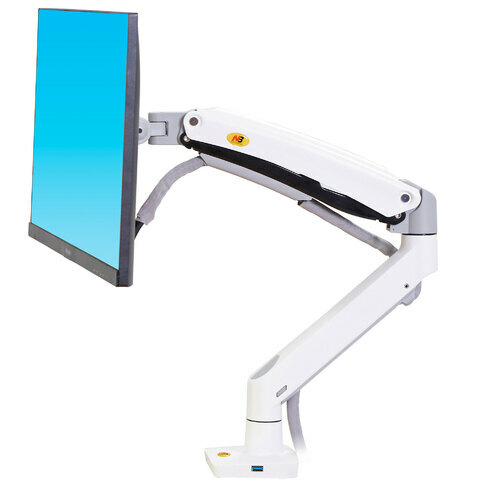 *Maximum ergonomic comfort to relieve eye, neck and back strain. 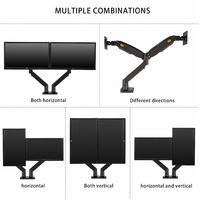 Promoting wellness and productivities in daily routine and home entertainment. 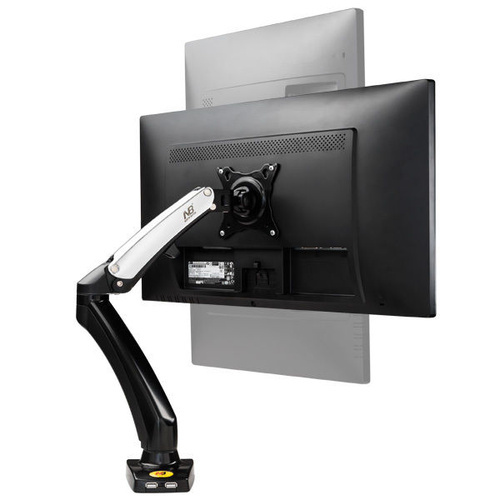 *Improvise sit-stand work-station and no expensive height-adjustable tables or chairs required. 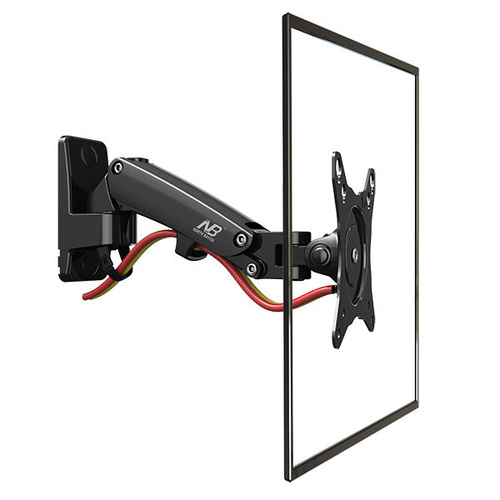 * Designed in both edge clamped and grommet mounting, it isimple and easy to install, effortless operation. 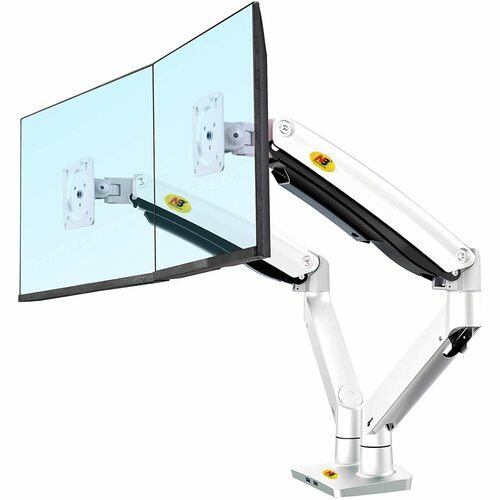 ■ Fits screen sizes 22’ – 32” . 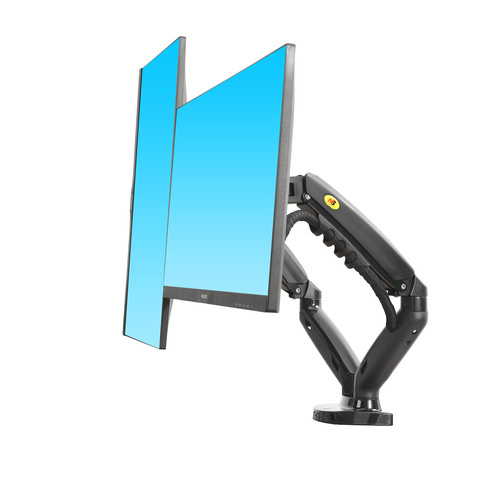 ■ 360° swivel. 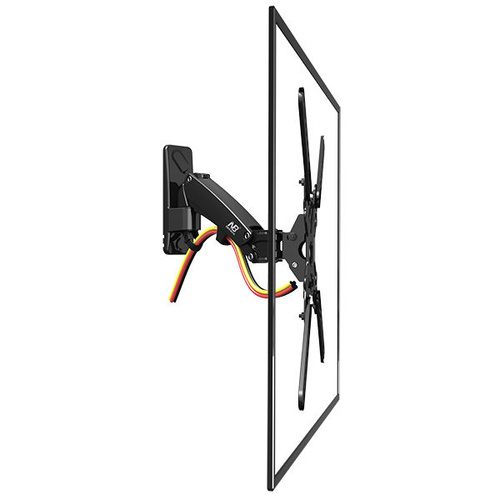 Extension and retraction 27.6”(700mm). 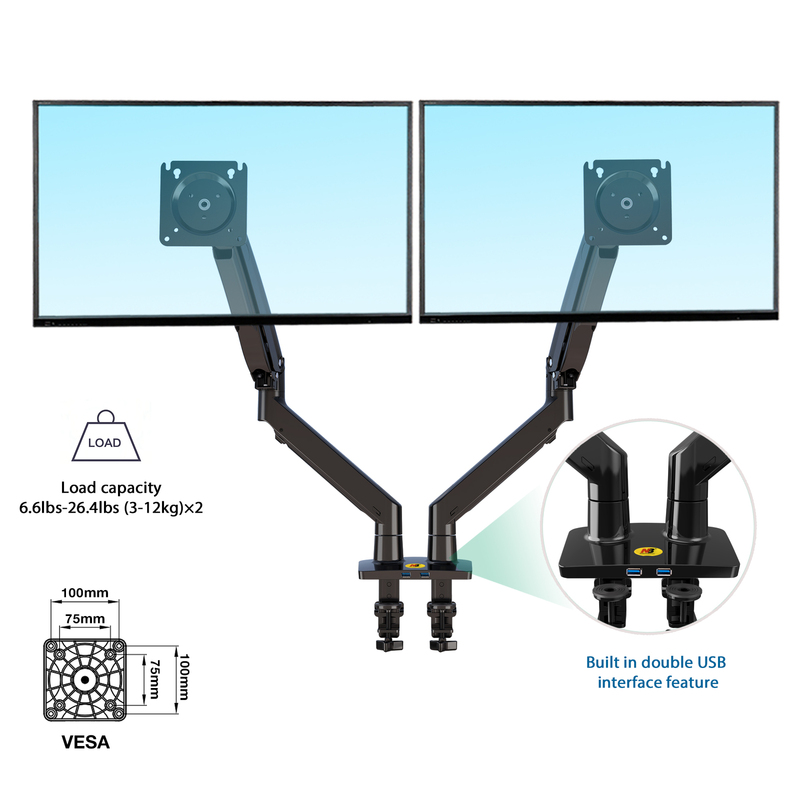 ■ Built in 2X USB adaptors.